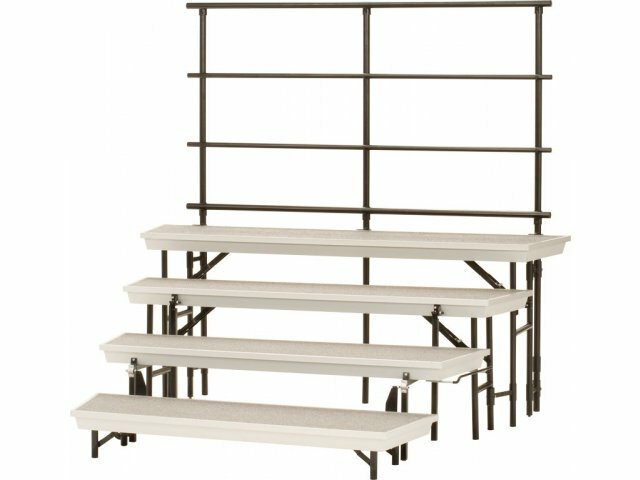 If you are interested in arranging your singers in a curved configuration, tapered choir risers are the way to go. 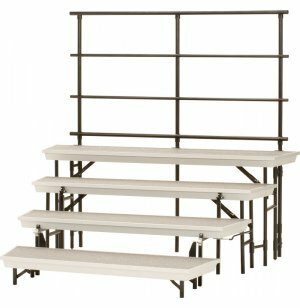 This four-tier riser includes a back rail to ensure a safe, worry-free performance. Tapered: This unit tapers from the top level riser 72 inches long to the bottom level riser 60 inches long. Safety First: Guard rail supports students who are standing on the highest platform. 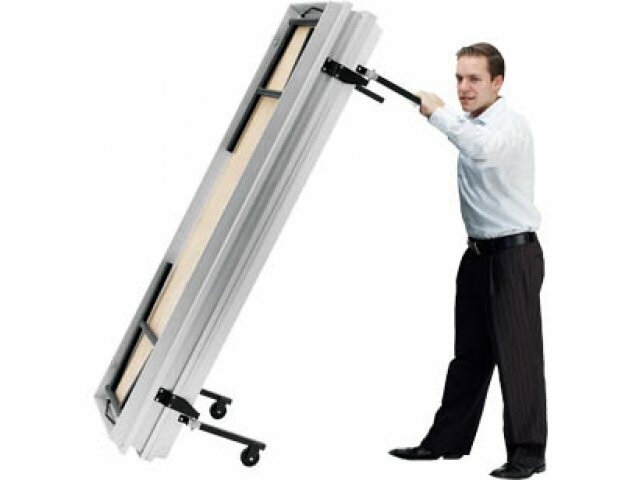 The guard rail can be easily attached or removed with Ganging devices. Foldable: Flips open or closed in five easy steps. Height of the unit when folded is 23". Guard rail and fourth level must be removed in order to fold unit.